This extensive volume delves into the world of fragrances—the iconic brands and the creative minds behind the most fabulous perfumes. Fascinating interviews with parfumiers reveal their inspiration and explore such topics as how fragrances can be used at home or as signature scent. Try to describe a smell without thinking back to a place and time and it’s impossible not to have all five senses come into play. Scent is immersed in our lives. It conjures up memories of travels and temperatures, feelings about people and things. Fragrance transports you and can make your heart skip a beat. 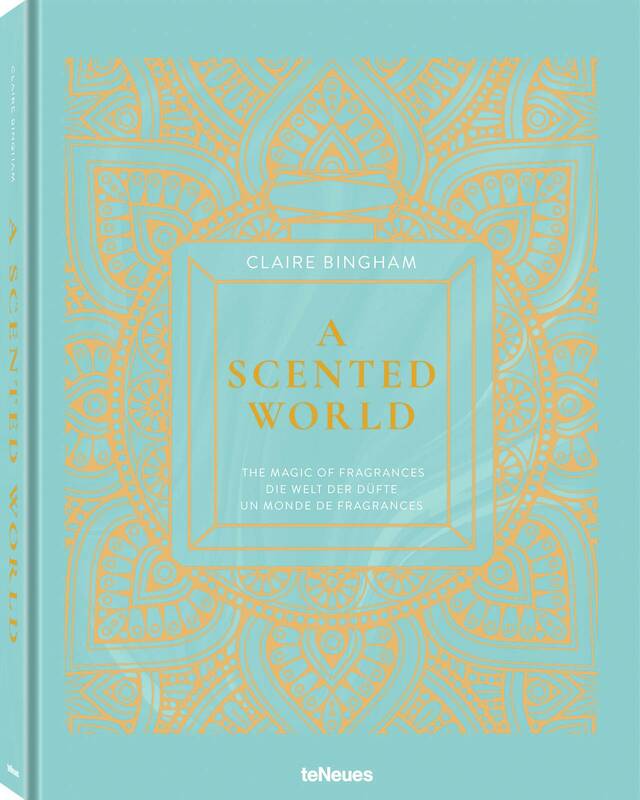 In A Scented World by author and design journalist Claire Bingham, we step inside the cradle of haute parfumerie and meet the talented aesthetes of the industry who are creating the most soothing and tantalizing scents for our olfactories. Where does the future of fragrance lie? How does the creation of a new scent begin? How do you capture the essence of a moment and release it upon a person’s skin? More than just a nose, their philosophy combines art and science. Part designer, cook, visionary, and engineer, their trade is built on a passion for botanicals and intuition. These fragrance heroes have the ability to take something everyday and with a unique blend of ingredients, craft it into something quite exquisite. This book steps into the lives of the modern perfume elite and discovers how to create an atmosphere just like the pros. As important as good food, wine, or music, fragrance brings beauty to daily life. Perfume is food for the soul. Claire Bingham is an interiors journalist who writes about design, travel, and style for several publications worldwide. Before becoming an author, including the teNeues books Modern Living and A Beautiful Mess, she was the Homes Editor for Elle Decoration U.K. and her insightful work has also been featured in international glossies such as Vogue Living and Architectural Digest. Scouring the globe for inspiring interiors and discovering the talents behind the scenes, she ultimately writes about homes full of character—be it modern-day glamour or old world, disheveled charm.